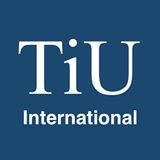 TiU-International is a Personnel fraction at Tilburg University. It was founded in 2014 because we felt that the mindset at the university was insufficiently international. Many of our students end up in more international working environments and they should be duly prepared. Our staff collaborates internationally and that means that Tilburg University should provide an inclusive working environment.